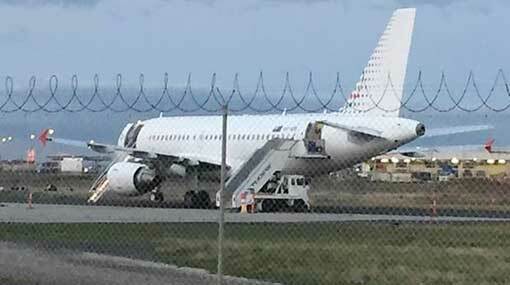 At least a dozen Sri Lankan asylum seekers have been forcibly deported back to Sri Lanka, having been put on a specially chartered jet that left Perth at 2am on Tuesday (11). In June in the UK, Virgin Atlantic said it would no longer assist the Home Office in deporting people classed as illegal immigrants, after growing unease over the wrongful removal of members of the Windrush generation to Caribbean countries, despite their status as British citizens. In the US, airlines including American, Frontier, Southwest and United airlines refused to carry immigrant children being separated from their families under since abandoned “zero tolerance” border policies. Pilots on Germany’s national carrier, Lufthansa, have repeatedly refused to fly asylum seekers to countries where they may face danger. In Australia both Qantas and Virgin are under pressure over their participation in forced removals and internal movement of asylum seekers and others in immigration detention. Both airlines have said they comply with Australian law and are advised by the Australian government on forcible removals and transportations. However, Qantas shareholders have moved a motion for the upcoming shareholders’ meeting, to be held next month, resolving that the board “commit to engaging a heightened due diligence process in relations to any involuntary transportation activity it is involved in as a service provider to the Australian Department of Home Affairs”. Brynn O’Brien from the Australasian Centre for Corporate Responsibility (ACCR) said Australian airlines were taking a struthioid attitude towards potential breaches of international human rights law.